Automatic binpacking: With that, you can specify how much CPU or RAM each container needs. Also you can add a specified limit. Horizontal scaling: You can scale your application with a simple command or automatically based on CPU usage. Self-healing: Restarts the containers that fail, replaces and reschedules containers when nodes die. 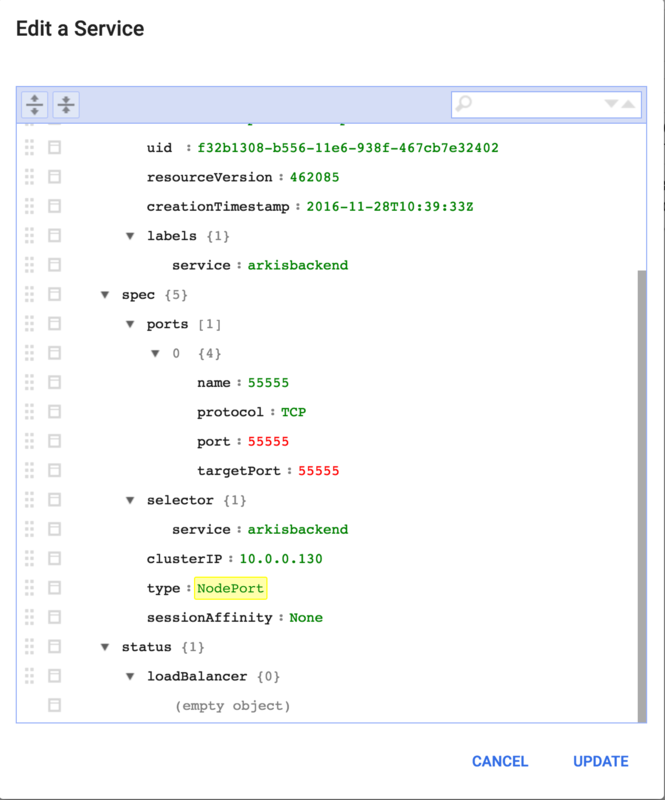 Service discovery and load balancing: Kubernetes gives containers their own IP addresses and a single DNS name for a set of containers, and can load-balance across them. Automated rollouts and rollbacks: With this feature, Kubernetes does progressively roll out changes and it ensure it doesn’t kill all your instances at the same time. Storage orchestration: Automatically mount the storage system of your choice, whether from local storage, a public cloud provider such as GCP or AWS, or a network storage system such as NFS, iSCSI, Gluster, Ceph, Cinder, or Flocker. Batch execution: Kubernetes can manage your batch and CI workloads using jobs. 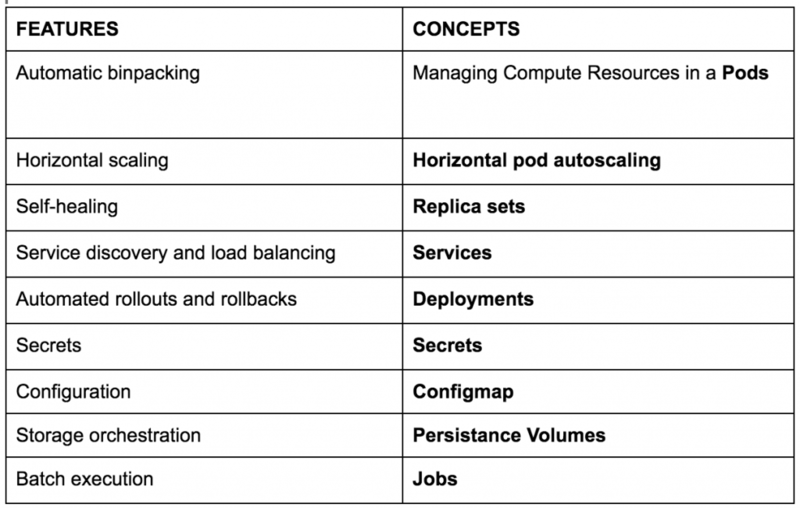 Note that for each feature that Kubernetes provides to us, there is a Kubernetes concept responsible of it. You can see this relation in the next table. Now, let’s go to see an example using Kubernetes as management tool for a multi-service application. Like in our other blog post for Vamp, we demonstrate how to deploy a simple three-tier architecture that we are running in a development environment with docker-compose into a production environment using Kubernetes. The application is a prototype mimicking the functionality of an actual industry use case, a document management application, in the context of our research on cloud-native applications. All containers of the prototype can be found in the public Docker Hub for reproducing our results. Custom option: You must install all the Kubernetes requirements by yourself. It is the most difficult option but also it is the most flexible one and without any limitation. kops: Easy way to install a Kubernetes cluster on AWS. It has some prefixed options. kubadm: One easy way to install a Kubernetes cluster in production. It is currently in alpha stage and it has some limitations. minikube: The option to run Kubernetes locally. It has severe limitations like LoadBalancers, PersistentVolumes or Ingress but is typically the fastest to just get a running cluster environment. In this example, we will use the easiest way to install Kubernetes: minikube. Therefore, for starting it you must follow this tutorial. 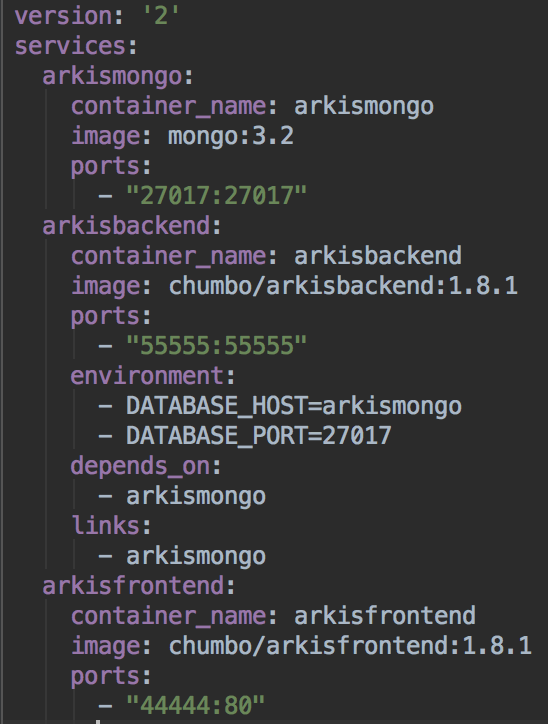 We start from our docker-compose file which we assume a developer has already at hand. We expect that in the future, automatic application decomposition might happen, but until then, wiring all microservices manually will be the norm. Now, if we have minikube running in our machine we can start the dashboard running “minikube dashboard” in our terminal. 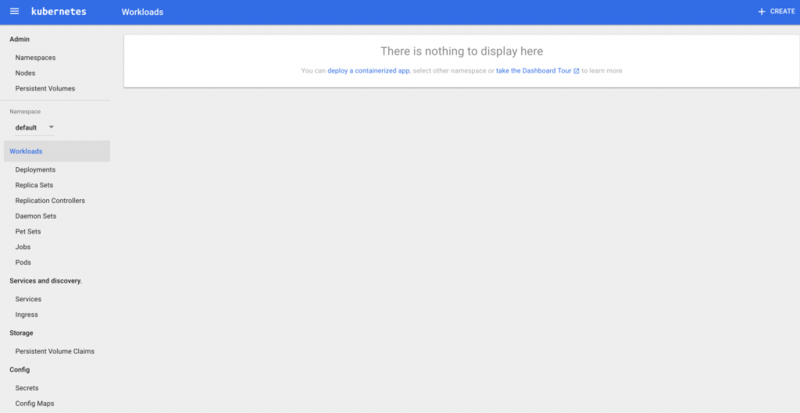 This action will open our browser with the dashboard of Kubernetes. Using Kompose, the services that we have created by default are of mode ClusterIP. Hence, these services do not have an external IP. We can change the type of the service using the dashboard and clicking on edit. In this case we change the type to NodePort. If we want choose a fix external port we can add a nodePort, too. 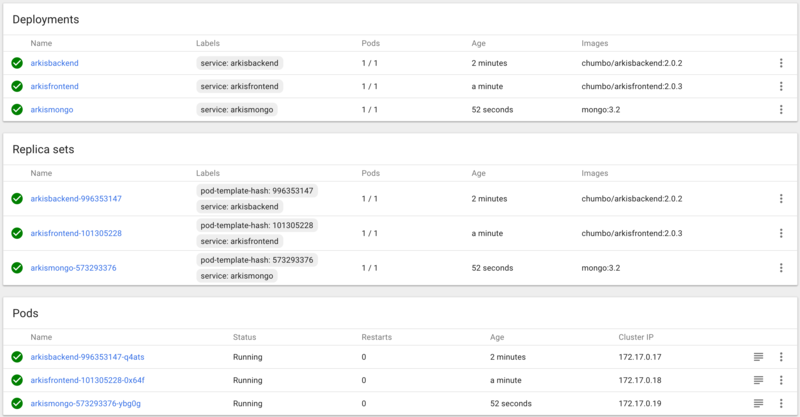 Now we have running our simple microservice architecture in our own Kubernetes cluster. As we are using replica sets, it is already self-healing. 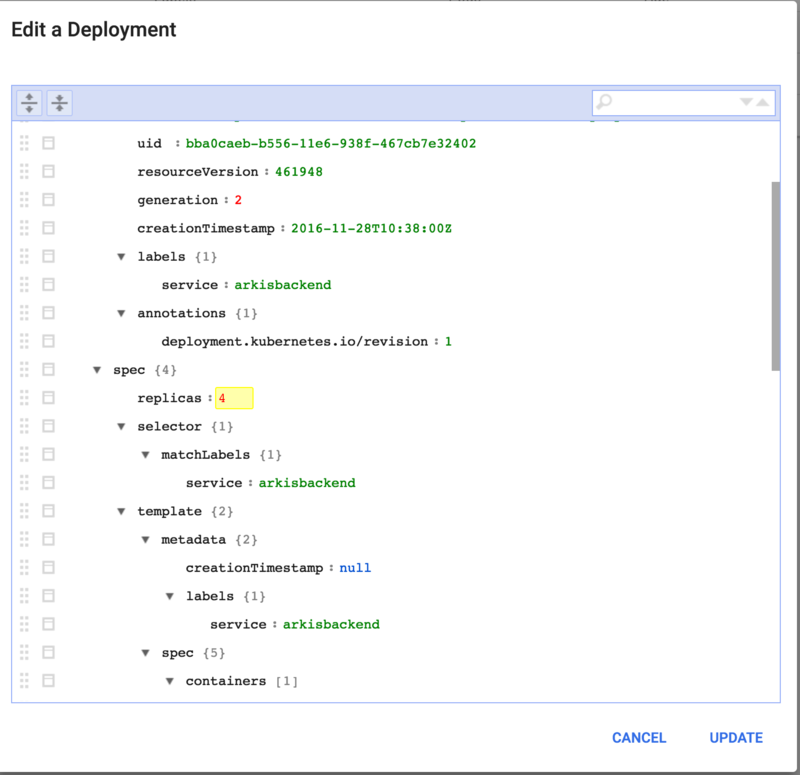 Also, we can modify our deployments for horizontal scaling or do a rollout. For example, for scaling the arkisbackend container to 4 pods we just change the number of replicas. Using the tool this way, we will are sure that the application is always running. You must learn new concepts with partially confusing terminology, e.g. the concept of services. You must learn a new DSL for describing it when developing with Docker tools. Kubernetes attempts to solve this with Kompose. The difficulty to install a Kubernetes cluster in a production environment if we compare with other tools like docker swarm. From the version 1.4 we can use the tool kubeadm that do it more easy. But it is still in alpha stage and it has important limitations yet. It misses crucial service platform ingredients including a marketplace and broker. The development roadmap is not very clear on these features. As future work we will continue writing blog posts about container management and compare the tools more thoroughly once we have established a more complex common example. This entry was posted in *. *, HowTos and tagged cloud-native applications, composition, containers, microservices, runtime by ramz. Bookmark the permalink.